72 year old patient with had trabeculectomy surgery for poorly controlled open angle glaucoma. His is S/P bypass and on asprin and BP medications. 5th day after the surgery, patient woke up with a bout of coughing followed by severe pain in the eye and loss of vision. 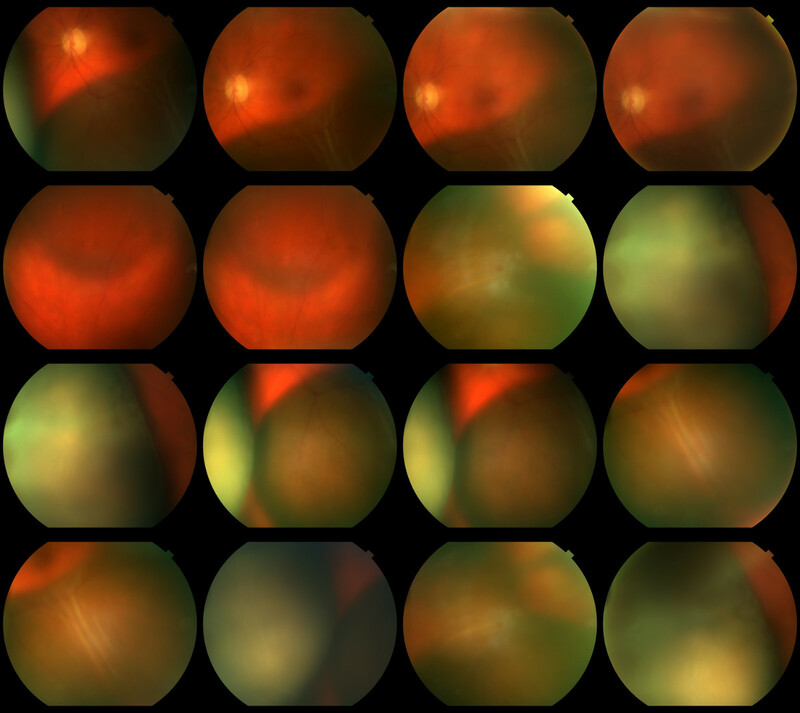 IOP on presentation was 34 mm Hg, VA CF, AC was shallow and fundus exam and b scan results are attached. What is the reason for the pain and how long can it last? Where is the blood trapped? What is the DD for this presentation? Fundus exam suggest a dark shadow with B Scan confirming the presence of blood in the suprachoroidal space. 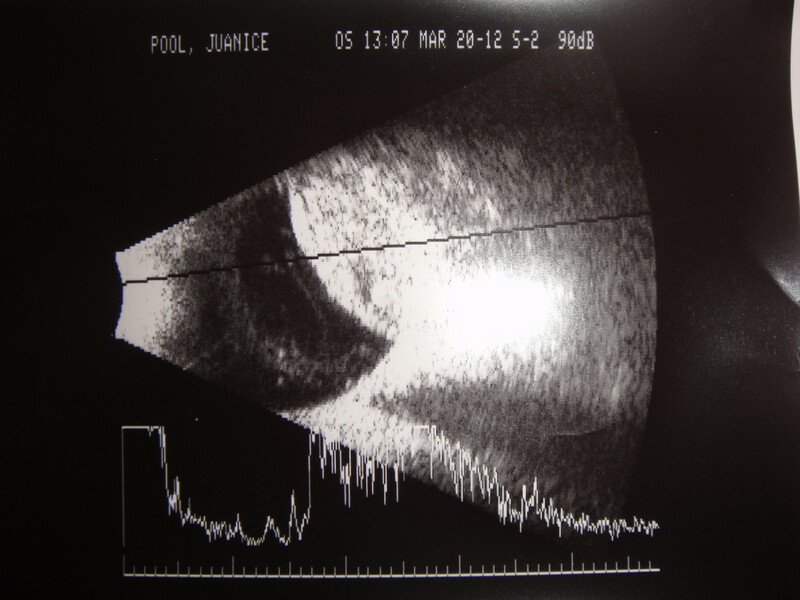 Suprachoroidal hemorrhage. It is extremely important to make sure that the patient avoids any situation that increases pressure in the posterior ciliary vessels such as bending, coughing, lifting weights etc . Th ecombination of low IOP following trabeculectomy and elevated pressure in the posterior ciliary vessels following coughing precipiated this bleeding episode in this patient. Treatment consistes of pain meds, IOP control, antiinflammatory drugs and possible drainage of the blood 7-10 days after the event. The reason for the delayed drainage is becuase the blood clots in the suprachoroidal space soon after the bleed and it takes 7-10 days to melt.